A new report on cryptocurrency regulation in the UK warns that “bad regulation is worse than no regulation at all,” the Telegraph reported on Monday. Experts cited in the report claim that an overly harsh crackdown on cryptocurrencies could break up the UK crypto market, causing companies to move to less regulated pastures to set up shop and dent the UK’s reputation as a hub for fintech innovation and advancement. The report comes as a response to a plan by MPs to use the Financial Conduct Authority (FCA), a UK regulator independent from the country’s government, to enact stricter rules around cryptocurrencies. The FCA outlined these planned regulatory steps on its website and was part of a task force reporting on the state of crypto in the UK whose findings were published in July and updated today. Those unintended consequences include what could happen if all digital assets get lumped together under the same set of rules. Instead, Neil Foster of Baker Botts argues that a more sophisticated classification of digital assets is needed to determine what should and should not be regulated. Foster argues that putting all crypto assets under the umbrella of the UK’s Regulated Activities Order, which there have been calls to expand the powers of after crypto-related crime, would only offer one set of rules that might prove too restrictive for some digital asset businesses. The UK is at a crossroads with cryptocurrencies, and it has to be careful of how it proceeds, experts warn. 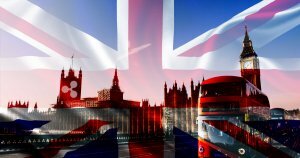 On the one hand, the UK is poised to become another crypto hub, with a strong reputation as one of the world’s financial centers already in place. On the other, Bitcoin’s volatility has provoked banks into distancing themselves from cryptocurrencies and digital assets altogether. But cryptocurrencies don’t necessarily have to mean volatility or massive investment losses. Companies like Ripple are in agreement that the space does need some degree of regulation to prevent money laundering and fraud, and are willing to work with governments to make that happen. For its part, the FCA has stated it will commit to establishing “perimeter guidance” on which digital assets do and don’t fall within its rules by the end of 2018, and whether that guidance will be extended to include more. Additionally, the FCA stated that it will conduct a separate consultation in Q1 of 2019, to look at whether it should prohibit the sale of derivatives which reference crypto assets.